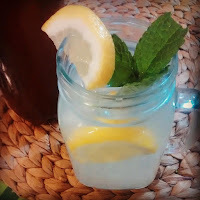 Make your own ginger beer starter from scratch! 1. Combine water, sugar and ginger in a 4-cup-capacity jar. Mix well and then add cloth cover. Ferment at room temperature for 24 hours. 2. Add 1 tablespoon sugar + 1 tablespoon peeled, grated ginger daily and mix well, then cover and set aside for 24 hours. 3. Repeat step two for the next 3-7 days until mixture is very bubbly and ready to make ginger beer. 4a. 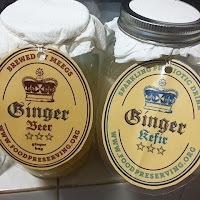 Ginger bug maintenance at room temperature: add 1 teaspoon sugar + 1 teaspoon peeled, grated ginger daily. 4b. 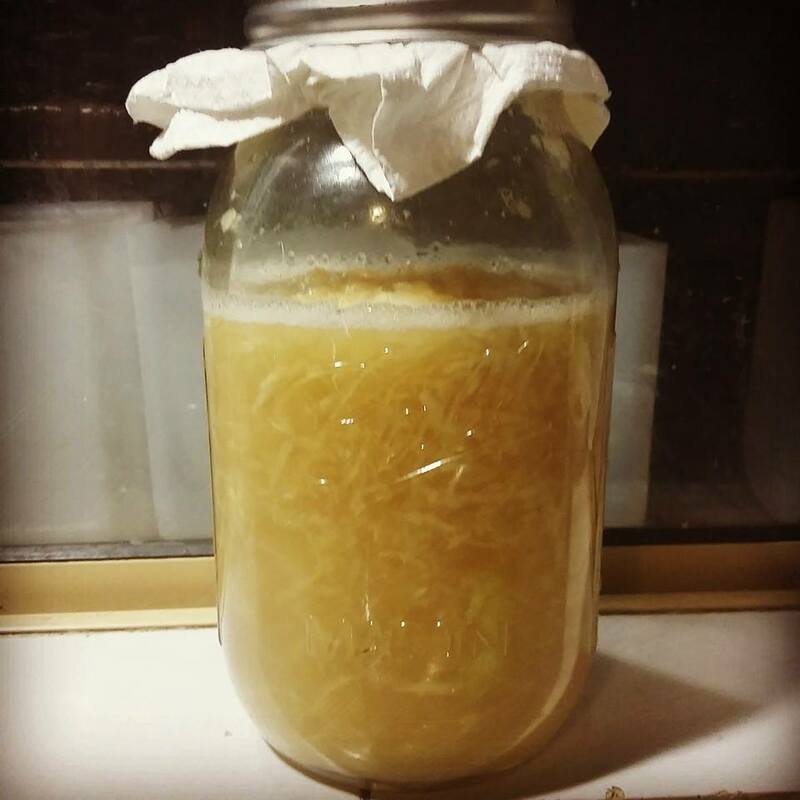 Ginger bug maintenance in refrigerator: add 1 tablespoon sugar + 1 tablespoon peeled, grated ginger once a week. 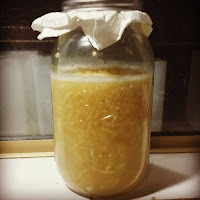 Wake up refrigerated ginger bug by bringing it to room temperature and begin feeding it daily for 3-7 days (or until bubbly). 1. Measure water and sugar into a 4-cup-capacity jar (or plastic soft drink bottle). 2. Add lid and shake until sugar has dissolved into the water. 3. Add active ginger bug (strain if desired before use) and fresh ginger slices and mix well. 4. Seal tightly and ferment at room temperature for 2-3 days or until plastic bottle is firm when pressed (should still “give” a little when pressed). 5. Refrigerate carbonated ginger beer and serve chilled.